The leaders of the international sectarian religious community Smith’s Friends are shrewd at putting the money earned by their followers to good use. Via tax havens they invest it for their own personal use and that of their nearest and dearest. The less journalists can trace, the better. Bernt Aksel Larsen, the business brain behind the international sectarian Christian religious community called the Smith’s Friends, is up in arms when a journalist posed a number of questions to some of his fellow brothers in South Africa back in January this year. His advice: don’t answer them. Dagens Næringsliv, a Norwegian newspaper, wants to know who owns the Cote de Val lifestyle resort Cote de Val on the Vaal River near Johannesburg. The fact that the Smith’s Friends have injected money into the luxury leisure project via a Cypriot company has to remain a secret. The Smith’s Friends (Dutch: ‘Noorse broeders’) have 40,000 members, 2,000 of whom in the Netherlands. The global centre of Brunstad lies in the south of Norway. In Norway, there have been numerous reports for years now about the mixing of business and faith among the brothers who, on an international basis, like to call themselves Brunstad Christian Church (BCC). So far, no hard evidence has been found. The more journalists write about money flows and tax havens, the deeper the brothers bury themselves. Following the arrest of Dutch former brother Jonathan van der L. (34) in the Netherlands in March, the church is facing the biggest crisis in its existence. Van der L. has led the Dutch Fiscal Intelligence and Investigation Service (FIOD) through the obscure network of the brothers. The FIOD seized 50GB in information from him. 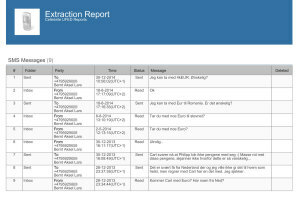 NRC and Dagens Næringsliv have access to these hundreds of internal documents and 200,000 e-mails, including the e-mail from Larsen about the project in South Africa. 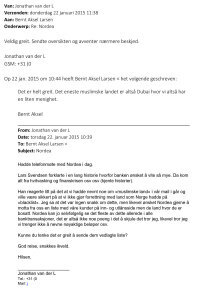 The e-mails show that Jonathan van der L. was not just a key figure in the Dutch branch of this movement, but that he was worldwide the right-hand man of spiritual leader Kåre J. Smith (71) and business leader, Larsen (56). Norwegian Kåre J. Smith (71) has been the spiritual leader of the Brunstad Christian Church (BCC), also known as the Smith’s Friends or the Christian Congregation Netherlands, since 1995. He is the grandson of the founder of the religious community, Johan Oscar Smith (1871-1943). With his warm eyes and charisma Kåre J. Smith was a natural successor. Under this leadership, the rules for the brothers were eased and a global business network was set up. Smith became the talk of the town in Norway in 2012 because of the conflict of interests of his businesses and the “church”. The Norwegian Bernt Aksel Larsen (56) was a board member of the Brunstad Christian Church between 2001 and 2012. Prior to that, he worked for Økokrim, the Norwegian FIOD, after which he joined the business sector. He helped the church achieve business success. After media attention for his riches, he gave up his official jobs for the church. Behind the scenes, he continued to manage the network of foundations from his farmhouse near Oslo. Dutchman Jonathan van der L. (34) was arrested by the FIOD in March this year. Former brother Van der L., a former officer of the FIOD and a financial genius, is said to have stolen about eight million Euros from the brothers. He is suspected of fraud, embezzlement and money laundering. Before leaving the church in January this year, Van der L. had been working on a global business network for Smith and Larsen for years. He was the right-hand man of financial leader Larsen. Smith and Larsen manage a global network of more than 450 businesses and foundations. Within this network, businesses regularly change owners, and million-Euro loans are shifted to and fro. The money flows pass through tax havens on a surprisingly regular basis. The businesses and foundations are managed by or are registered in the name of individuals. They work closely with Larsen and Smith. In practice, it is Larsen who dishes out the orders after consulting Smith. Jonathan van der L. and others carry them out. This is how Smith and Larsen rule the brother syndicate, as if it is their private property. The duo is mixed up in businesses which they say they have no ties with. Compusoft for instance, European market leader in design software for kitchens and bathrooms. The company also has a branch in the Netherlands. The fact that the majority of Compusoft’s shares are owned by the Smith’s Friends is not known. In 2014, half a million Euros in dividends is transferred (as a loan) to a Cypriot business owned by the brothers. 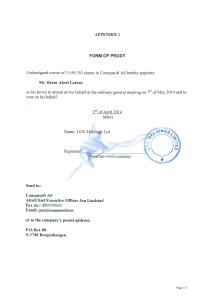 Larsen attends the shareholders’ meeting of Compusoft. However, he is also involved in the Dutch contracting firm Emergo, he looks at the production figures of IEC-Hus, a Norwegian contractor, and attends board meetings of Finn Tack/Horze, a Finnish equestrian sport company, with leader Smith. These businesses form part of the business network of the brothers and they employ the followers who work voluntarily for them. The key theme in the seized e-mails is the payment of as few taxes as possible. Businesses are established on the British Virgin Islands, Bermuda, Cyprus and Dubai, among other places. Corporation and dividend tax in these countries are lower or zero. Whatever management in Cyprus and Dubai get up to is thought out in Norway. As such, the brothers are tax payers in Norway and the route via Cyprus can be regarded as tax avoidance, a lawyer tells Larsen in an e-mail in the spring of 2013: “The location of the actual management is decisive.” Larsen writes back saying that he will be careful with documenting “formal and informal” decisions. The Brunstad Christian Church, leader Smith and other named brothers did not respond to questions posed by NRC. The financial motor of the network is formed by the 40,000 believers, spread out across the world. Their millions, saved for the Kingdom of God, have been transferred to two companies registered in Cyprus, BCC Global and BCC Financial, for years. BCC is the abbreviation of Brunstad Christian Church. Although Smith and Larsen have no official position at either company, they do manage them. For the day-to-day management of BCC Global and BCC Financial, Smith and Larsen find the perfect man: Dutchman Jonathan van der L. He is a loyal brother, as a former FIOD officer he has a fiscal background and he is fluent in Norwegian. Among other things, the church’s divisions give BCC Global the membership money paid by members for their own satellite channel, Brunstad TV. BCC Financial is the internal bank of the church. Cyprus is the ideal location. It has a nice tax regime and the banking rules are more lenient than those in western European countries. Those countries would demand a bank licence, but Cyprus does not. Divisions that have any savings, lend it to BCC Financial. And the latter lends it to others. 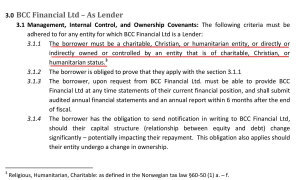 The Borrowing & Lending Covenants of BCC Financial state that the money can be lent only to businesses or foundations with a religious, humanitarian or charitable objective. Contracts with private individuals are not permitted. By the end of 2014 BCC Financial has outgoing loans worth 86 million Euros. The internal bank has more than 300 outstanding loans. 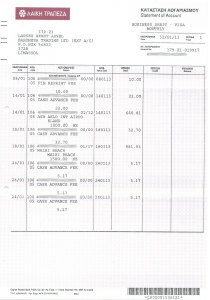 The e-mails show that religious organisations do not or hardly benefit from the savings. 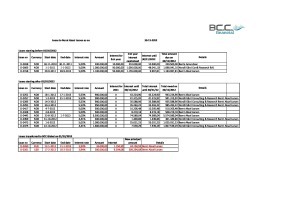 BCC Financial appears to be the personal money machine of Larsen and Smith. From Norway, Larsen sends Van der L. instructions to lend money to a select group close to both leaders, on favourable conditions. Nineteen brothers, including children of Smith, are able to borrow one million Euros in 2011 in order to buy Finn Tack, a Finnish equestrian sport company. 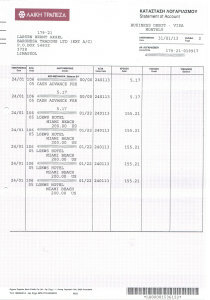 Then, 9 daughters, sons, sons-in-law and cousins of Smith or Larsen borrow another 1.4 million Euros. Larsen also gives instructions to transfer money to himself. He is given 15 loans, worth 2.3 million Euros, in a private capacity and via a business. Church leader Smith also joins in. Together with Larsen, he indirectly receives a 6 million Euro loan. Larsen is aware of the risk. The loans issued to him and Smith are “dangerous”, he writes Van der L.
Most of the money spent by BCC Financial goes to businesses in the network. Whereas ordinary banks face hardship after the financial crisis, money is readily available from BCC Financial, at a low interest rate and without the need for securities. Issuing loans seems to be the ultimate way of sending money around the network cheaply. Other than with an invoice or payment of dividend, a loan is tax-free. And after some time, a loan can be written off as “irrecoverable”. Thus only a part of the loans are paid back. 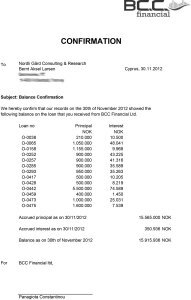 The brother’s own accountants, Deloitte in Oslo, voice their criticism about the loans just before New Years’ Eve 2011. The fact that the church takes care of the financing of BCC Financial which in its turn issues loans to parties affiliated with the church, can be seen as “evasion”, especially because the conditions are not competitive and the brothers are favoured over others who are not given such loans. The best solution would be to end the loans, says Deloitte. The fact that at this time the Norwegian media starts writing critical news items about the sectarian brothers and the conflicts of interests of leaders Smith and Larsen turns this into a matter of urgency. In order to take the wind out of the media’s sails, Larsen withdraws from his official positions at the church. Nothing changes behind the scenes. Larsen continues to issue orders, the e-mails show. 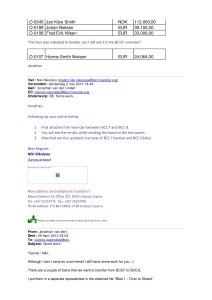 Afterwards, the dubious loans in Cyprus are transferred to BCC Global. 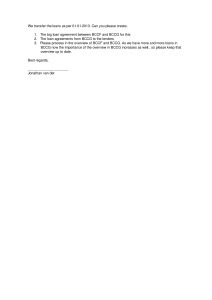 Other than BCC Financial, BCC Global is not supervised by accountants and has no governance rules. 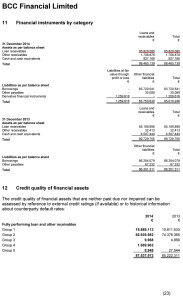 BCC Financial’s annual figures for 2015 confirm the big clean-up. Of the 86 million Euros in loans from 2014, only 36 million Euros are left one year later. Among the loans transferred to BCC Global are loans to family and friends. At BCC Global, dozens of loans to businesses and private individuals, together worth 7.4 million Euros, are subsequently written off as ‘irrecoverable’. This brings no end to the shifting of loans to family members, friends and highly-ranked brothers and their businesses. They are now moved to a third company in Cyprus, this time with a shareholder who is hedged by a trust office in Bermuda. That is more secure. Just as loans are handed out, so are jobs. Those around the leading duo are given high positions and interesting projects. Hanne Smith Nielsen, Smith’s daughter, becomes the director of Finn Tack/Horze, the equestrian sport company, in 2015. 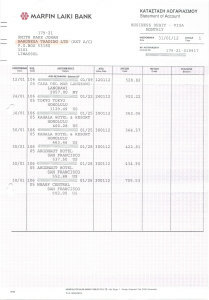 Son-in-law Tobias Nielsen, an architect, is able to submit invoices up to nearly 200.000 Euros. Both are paid with savings from the disciples, via a company in Cyprus. In the meantime, Smith and Larsen travel the world at the expense of their disciples. They use the credit card of yet another Cypriot business, which is co-financed by means of a million-Euro loan from a charity owned by the Dutch brothers. In 2012, church leader Smith spends more than 15,000 Euros on this card, including 450 Euros in the Hugo Boss store in Bangalore, India. He is staying at The Leela, a five-star hotel. During the winter months, the church leader stays in Malaysia, Tokyo, San Francisco and Honolulu. In Honolulu, he stays at the luxury Kahala Resort, a popular “celebrity hideaway” for American presidents and Hollywood stars, according to the website. Larsen visits Waihi Beach, a beach hotel in New Zealand, followed by a stay at the luxury Loews Hotel in Miami Beach. Smith also uses the credit card of another Cypriot business, Smilar Invest. This company is owned by him and Larsen, for 50% each. Smilar Invest is “a private investment” Larsen stresses to the Norwegian media. But again, private interests are in conflict with those of the church. Director of Smilar Invest is, again, Jonathan van der L. His salary is not paid by Smilar Invest, but by a subsidiary. The staff at the Cypriot office of Smilar Invest also work for subsidiaries. By paying back the private purchases in cash, Smith and Larsen prevent themselves from having to pay tax in Norway on these benefits in kind. The tax authorities could regard this as tax fraud and money laundering. In the spring of 2015, the accountant confirms that she has received the money. Sms verkeer tussen Larsen en van der L.
The brothers are able to get away with it for a long time, but during the past few years, the supervisory bodies have been asking critical questions about the global money flows. It starts with accountants Deloitte, who criticise the loans. This is followed by the Dutch tax authorities, who in 2014 decide to revoke the foundation’s charity status. The British tax authorities than ask critical questions about the amounts of money transferred as loans to BCC Financial in Cyprus by the local division. How can it be proven that this money is indeed used for charity? The tax authorities are happy with the assurance that “yes, the money definitely goes to charity”. This is not the end of the problems however. 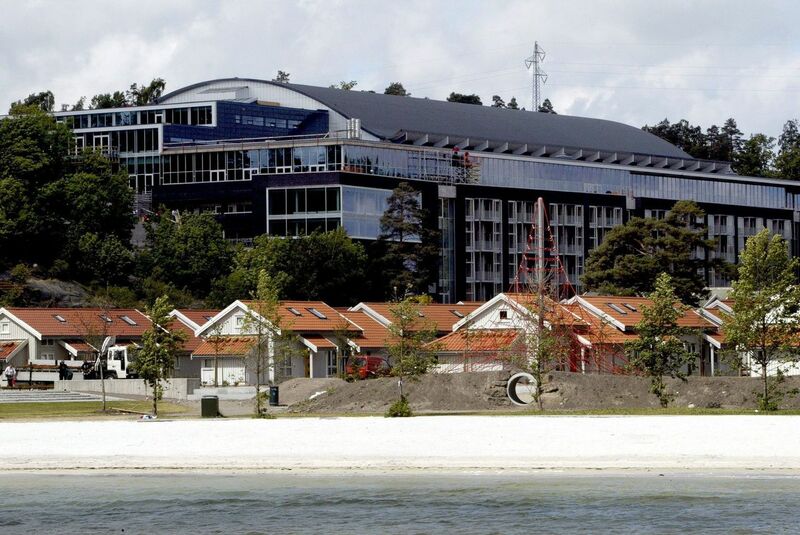 The Nordea Bank in Oslo is also querying the governance surrounding BCC Financial. Referring to the rules about money laundering, the bank asks for a list of loans. 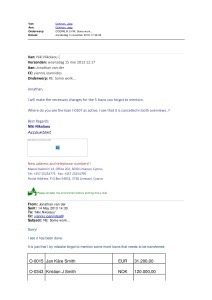 Jonathan van der L., with the knowledge of Larsen, gives Nordea a list from which the loans to private persons, including family and friends, have been deleted. Another Norwegian bank, DNB Nor, is also concerned about “the conflict of church and business interests”. This is mentioned in a letter that is delivered to the Smith’s Friends in the summer of 2015. The bank points out the risk of a conflict of interest and wants to know the status of internal audits. After all, those are intended to prevent money, saved by volunteers, from disappearing into the pockets of private individuals. This bank too is told that BCC Financial only lends money to businesses that are affiliated with the church. This way, the brothers write, it is “completely impossible” for private individuals to favour themselves. The acquisition and sale of the German online shop Lampenwelt is a perfect example of how leaders Kåre J. Smith and Bernt Aksel Larsen of the Smith’s Friends enrich themselves. It earns them tens of millions of Euros. Lampenwelt is the biggest in its kind in Europe. Each year, it sells 40 million Euros’ worth of lamps and accessories. Until 2012 the company is owned by brothers Andreas and Thomas Rebmann, highly faithful brothers, while the company’s management also largely consists of brothers. During a festive gathering in Norway, Smith says that the brothers have gifted their business to the church, after which they are honoured in front of everyone. Internal documents show that Lampenwelt is not transferred to the church, but to the church leaders themselves. It is a complicated construction, but in a nutshell, 94.9% of the shares of the online store end up in the hands of Smilar Invest - Smith’s and Larsen’s private company - for a price of 1.3 million Euros. 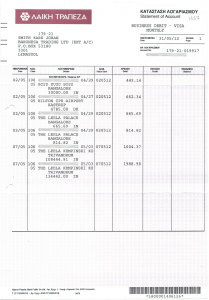 The money they use to buy Lampenwelt is borrowed from the church’s internal bank, BCC Financial in Cyprus. And so, using the savings of the disciples, Smith and Larsen become owners of the store with an annual turnover of 40 million Euros. Because that is the plan: Lampenwelt is to be sold on, this time at a realistic price. The potential buyers are allowed to consult the accounts. They are shocked to find out that Lampenwelt is owned - through a Cypriot business - by the two Norwegians, who the media calls sect leaders. One of the potential buyers also discovers that the previous owners, the Rebmann brothers, “are members of the sect”, Larsen complains in an e-mail. Smith and Larsen decide that Lampenwelt will have to be purchased by the German division of their church, as evidenced by an e-mail (“confidential”) sent to five leading brothers in Germany by Larsen in the autumn of 2014. The church leaders sell Lampenwelt for 40 million Euros to Lampenwelt’s management, i.e. fellow brothers, in the spring of 2015. Sixteen million Euros is borrowed from three German regional banks. In addition, a number of subsidiaries also invest money and the German church divisions invest 13 million Euros in savings. Until then, this money had been lent to BCC Financial, but it is paid back to the German divisions right before the sale on the instruction of Larsen. The conclusion is that Smith and Larsen appropriate tens of millions of Euros. Thanks to the ordinary disciples, who are none the wiser.